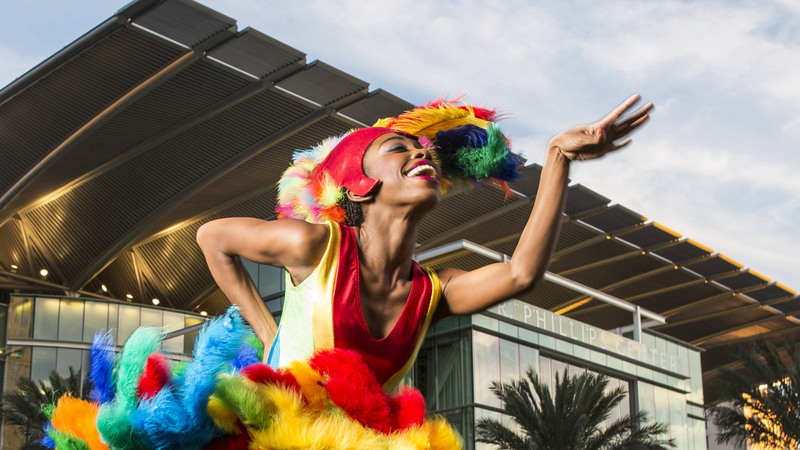 UCF Celebrates the Arts 2015, a free, family-friendly festival at the Dr. Phillips Center for the Performing Arts taking place April 10-15, will showcase the university's best in theater, music, dance, and visual and digital arts to the Central Florida community. When the Dr. Phillips Center for the Performing Arts opened in November, UCF leaders saw the $500 million, state-of-the-art facility in downtown Orlando as an important opportunity — to put on a show. From musical theater to dance events, symphonic concerts, jazz cabaret shows, visual art displays, film screenings, interactive gaming and more, this free showcase will offer Central Floridians a diversity of experiences. What began as the fantasy of a pair of UCF scientists — to bring to a campus stage a complex and celebrated multimedia performance that combines ancient mythology with theoretical physics and sets it to live music and video — will be the gala opening for UCF Celebrates the Arts. “This very ambitious piece has been in the works for more than a year,” says Moore. First suggested by associate professor of physics Costas Efthimiou and engineering professor Debra Reinhart as an event to support UCF’s STEAM (science, technology, engineering, arts and mathematics) initiative, Moore suggested waiting for the celebration to present it. “[Icarus] matches perfectly with the idea of synthesizing science and the arts,” says Efthimiou. At the April 10 event, Greene will introduce the performance, which features narration by actress Kate Mulgrew (aka Captain Kathryn Janeway from “Star Trek: Voyager”), film by Al + Al (and NASA), and musical accompaniment by the 55-member UCF Symphony Orchestra. To commemorate the 150th anniversary of America’s infamous war between the states, “Civil War Voices” — a collaboration between UCF’s theatre and music departments and the Orlando Repertory Theatre — will feature dramatic readings set to historical music. The performance uses “letters, newspaper articles from the era and diary entries and puts those stories onstage along with music from the period to create a tapestry of memory,” says Jeff Revels, artistic director at The REP. “Voices” is also a chance for the public to “discover the quality of education and the training that actors and production crew get at UCF,” says Theatre UCF artistic director Earl Weaver. 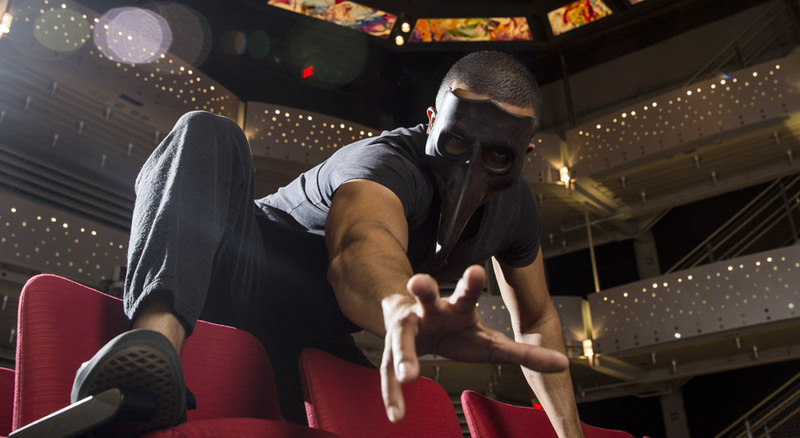 The students will perform on a thrust stage in a state-of-the-art theater unlike any available on campus, and theatergoers will get a taste of the talent UCF is developing. For those interested in opera, an open rehearsal of Puccini’s “Tosca” by the Orlando Philharmonic Orchestra will offer a rare behind-the-scenes experience. A master class will follow, giving UCF performers a chance to learn from lead soprano Keri Alkema, plus an opportunity to sing and be critiqued by the director and cast professionals. But aside from all the great performances, Weaver says, these shows are an excellent recruiting tool for future talent. Showcasing the best performers on campus in a new arts center will be alluring to aspiring artists hoping to start their careers with college training. For the UCF visual and digital artists contributing to the festival, presenting their works in a facility as large and open as the Dr. Phillips Center provides challenges they don’t typically face. For the students from SVAD and the Florida Interactive Entertainment Academy (FIEA) engaged in art forms from architecture to film, digital media, video game design, drawing, sculpture, ceramics, photography and printmaking, the answer was to employ new strategies, technologies and scalable materials to engage festivalgoers in and around the performances. Visual artwork will be enlarged onto giant banners and hung in strategic locations to create compelling sightlines for visitors. A live game jam will challenge students to create a video game during the event and present the results in real time. Digital projectors will screen student projects during an all-day film festival. Artists in costume will create living pictures of classic works through a technique called tableau vivant. Faculty will present lectures on art history and visual culture. And interactive exhibits will showcase the processes behind digital character animation and game design. To showcase the wide range of productions that Theatre UCF puts on each year, the department will present a collection of content from their annual schedule during the celebration. 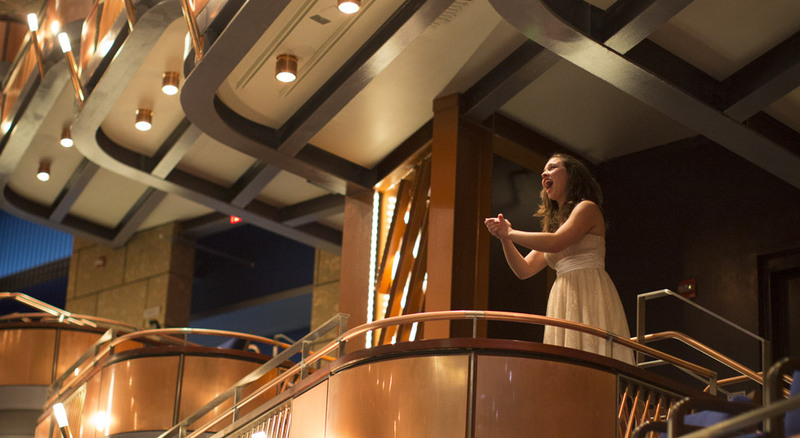 Highlights include Broadway and gospel fare by UCF vocalists, dramatic readings by student nominees for the Kennedy Center American College Theater Festival’s prestigious Irene Ryan Acting Scholarship, staged combat scenes and a sprawling musical number from a Tony Award-winning production. Kicking off what Weaver has dubbed the “collage of performances” is the opening scene from “Nine,” the 1982 Tony winner based on Federico Fellini’s semi-autobiographical film “8½.” The musical, which runs on Theatre UCF’s main stage March 19–29, revolves around an Italian film director whose midlife crisis stifles his career and launches a series of romantic entanglements in the 1960s. More than 40 students pursuing a dance minor at UCF will present original choreography in their showcase, “Simply Dance.” That group represents nearly half of the roughly 90 students in the program, which offers a foundation of dance techniques, history, composition and performance. 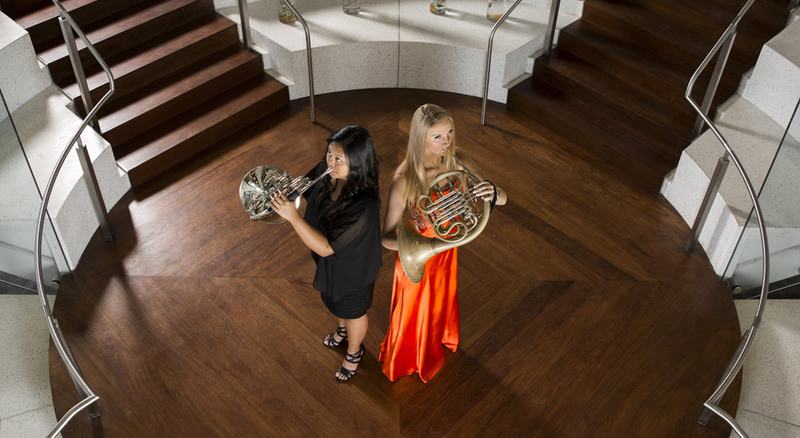 For music lovers, UCF Celebrates the Arts will present a gamut of styles from classical compositions to enduring pop culture tunes. 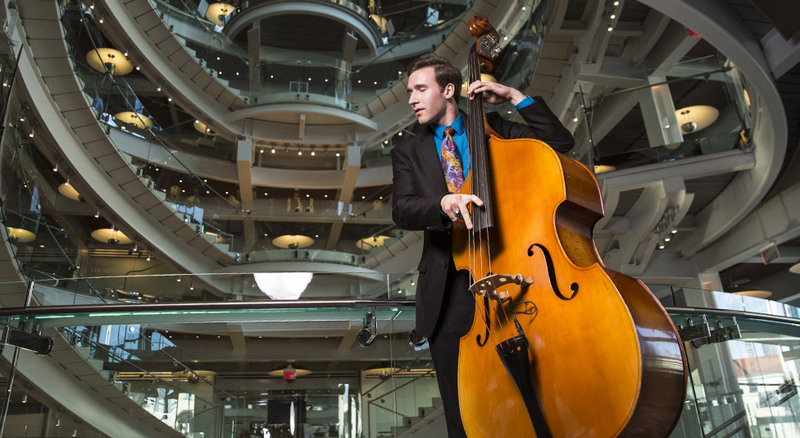 Featuring roughly 300 students representing majors from music education to jazz studies, the university’s orchestra, wind ensemble, symphonic band, jazz ensemble, choirs and chamber ensembles will perform at multiple venues, offering a wide variety of content throughout the event. The cosmos will be explored in concerts that feature composer John Williams’ “Star Wars” suite; “Jupiter,” a movement from English composer Gustav Holst’s orchestral suite, “The Planets”; and “Beyond,” a work by modern Japanese composer Wataru Hokoyama. Although the performance at the new Dr. Phillips Center is a milestone, the jazz band isn’t a stranger to audiences outside of UCF. With student-run record label Flying Horse Records, the band has earned a national reputation. Just five years old, the label has landed four albums on the top 50 of industry magazine JazzWeek. For a complete schedule of events and to reserve complimentary tickets, visit arts.cah.ucf.edu.